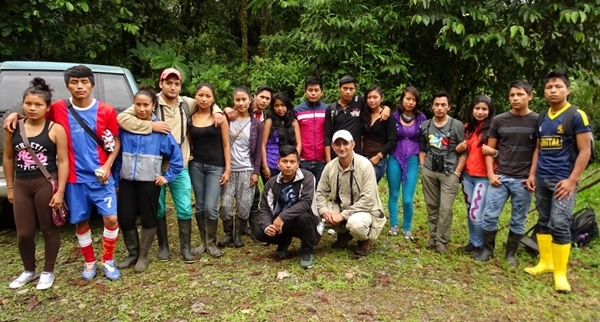 The local community in the Amazonian Andes close to Narupa Reserve (Ecuador) have founded a bird club for young people which celebrates the bird diversity of their local area. 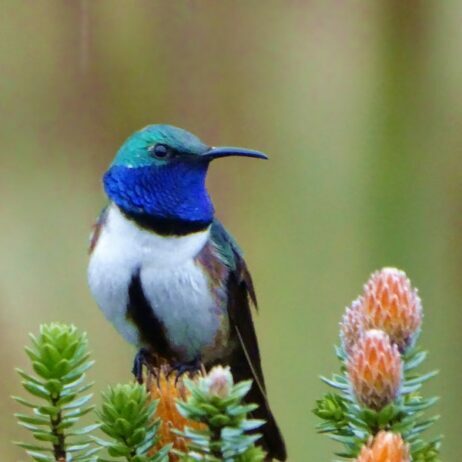 The Cosanga Birdwatching Group is supported by the wildlife rangers who work to protect the reserve and do outreach with the local community, Mario Pilataxi and Gerónimo Tanguila. Both of the rangers have been hired locally from agriculture backgrounds, but now they are fully committed to nature conservation in this area. 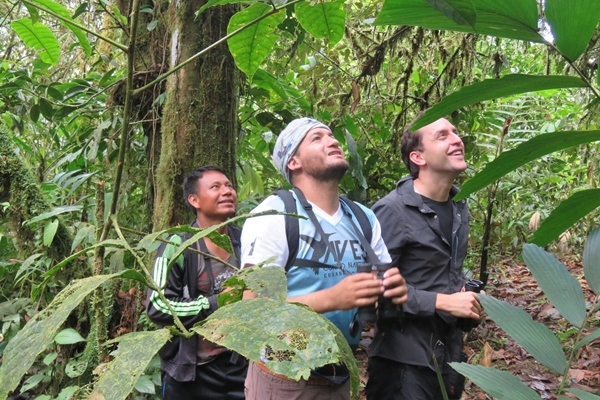 Fundación Jocotoco organises an annual BirdBlitz, where people can visit Jocotoco’s reserves and try to record as many bird species as possible within 24 hours. 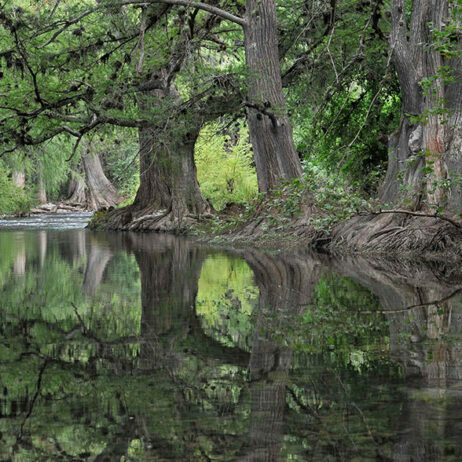 Narupa Reserve is currently the only reserve so far where the count is only conducted by local people, says Fundación Jocotoco’s Executive Director Martin Schaefer. Narupa Reserve also had the highest species count for a similar birdwatching event that is carried out internationally, the Global Big Day. 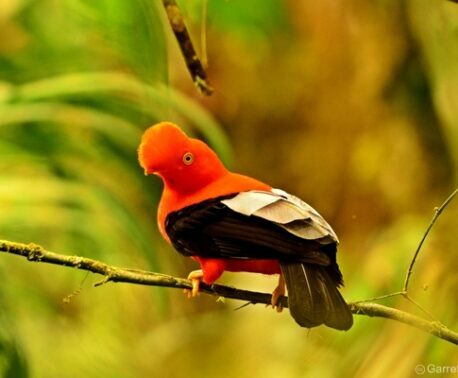 Ecuador reached third place out of all the participating countries, with 1,259 species, and Narupa had the highest count of Fundación Jocotoco’s reserves with 126. This year’s Global Big Day is coming up on May 5, and is anticipated to have another large turnout at Narupa. 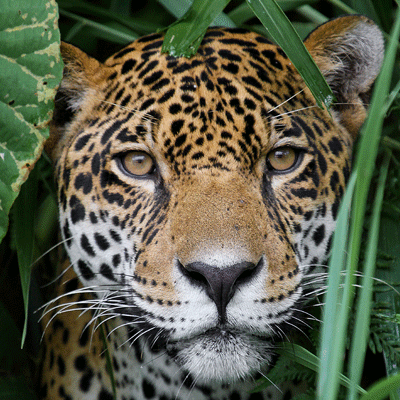 Narupa Reserve protects the tropical forest habitat of the Amazonian Andes and is managed by WLT partner Fundación Jocotoco. 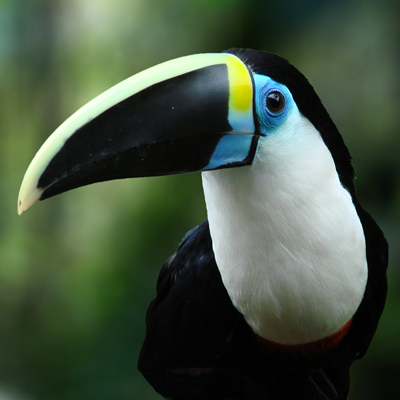 In Spring 2018, supporters of World Land Trust’s Amazonian Andes appeal raised £165,000 for the purchase and protection of 400 acres, to extend this reserve and save this important habitat from a road that would have been built between Narupa and neighbouring protected areas, isolating important populations of threatened species.